"Taiwan-based notebook brand vendor Acer is set to launch a tablet PC featuring the Intel Oak Trail platform and Google Android 3.0 operating system with the device already going under mass production by Compal Electronics and will start selling in July at the latest, according to sources from upstream component players." There you have it! 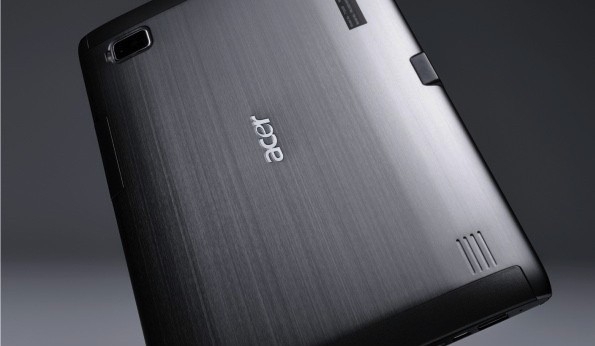 Acer has a 10" Android Honeycomb tablet coming, probably in July. While this is not the first Android tablet with an Intel processor, I think that would be the Cisco Cius, it is the first one running Honeycomb that I'm aware of. Since the architecture is different than the ARM architecture used by all other Android devices there would be some compatibility issues to work through that would probably involve recompiling the Android kernel and who knows what bugs could come up. Let's hope Acer worked out all the kinks and the tablet works just like a ARM Honeycomb tablet. Since Android uses Java which is supposed to be platform independent there is a good chance that with a recompiled JVM it should be able to run all the current Android apps - without the actual apps being recompiled. It think it's good Intel is finally going to start challenge ARM. This could help innovation and prices! Will you be waiting for an Acer Honeycomb tablet?